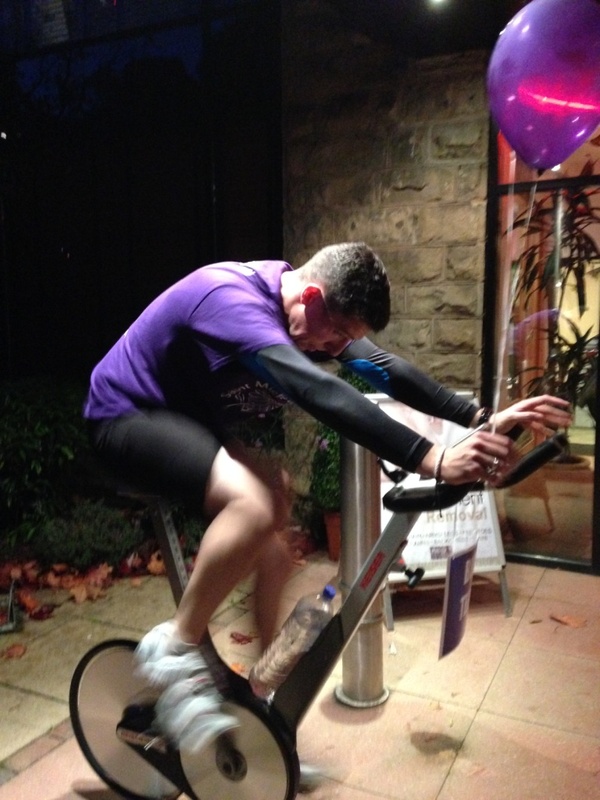 Members of a Harrogate health and leisure club have been “inspired” to raise more than £7,000 for a local charity. The Academy, on Oakdale Place, took part in the Saint Michael’s Hospice “You’re Inspired” challenge, which invited local businesses to compete against each other to raise funds via innovative and inspirational ways. For its part, the staff and members showed their support by holding a cycling challenge, an auction, a raffle and a pyjama day in the crèche to name but a few events that took place over the month long initiative. “We have been a supporter of Saint Michael’s Hospice for many years now and always enjoy new ways of raising money for it. “On this occasion, the staff and members really got behind the challenge and, as a result, we were able to raise the grand total of £7,200. The Academy’s funds contributed to the total £32,330 that was raised by local businesses, and will go towards continuing the work of the hospice in supporting those suffering with terminal illnesses and their families. Saint Michael’s Hospice, based on Hornbeam Park Avenue in Harrogate, exists to ensure people affected by terminal illnesses get the high quality end of life care they want, need and deserve. The hospice offers specialist care, assistance and support both to patients and families affected by life altering diseases. As an independent charity, the hospice is heavily reliant on donations from the public to continue their work. The Academy is a member of Saint Michael’s Business 500 Club – a community of businesses each committing £500 a year to Saint Michael’s, supporting the charity’s strategy of service improvement and expansion that aims to offer more care to more people.